Natural products, substances that are made by living organisms, have had an enormous influence on the history of the human race. Ancient man used the crude extracts of plants as poisons to coat the tips of arrows when he went hunting and as useful medicines for treating innumerable diseases. As the science of organic chemistry evolved in the late 18th and early 19th centuries, many novel molecules were purified from Nature, eventually leading to the foundation of the chemical and pharmaceutical industries. As early as the late 18th century the Swedish chemist Carl Wilhelm Scheele isolated several new substances from natural sources, including tartaric, oxalic, uric, lactic, and citric acids, leading to the presumption that all natural products must be acids. However, this did not prove to be the case. In 1804, a young German pharmacist named Friedrich Serturner, purified a novel substance from crude opium. He named it morphium after Morpheus, the God of dreams from Ovid’s Metamorphosis, because it put animals and several of his students into a deep sleep. Morphium, which was soon renamed morphine, proved to have an alkaline rather than an acidic character and became the founding member of an entirely new group of natural products which were named alkaloids. 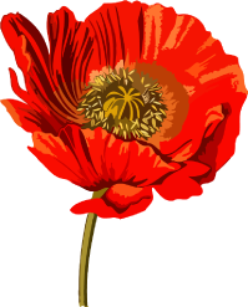 Following the isolation of morphine many new plant alkaloids were soon discovered, including such things as nicotine, strychnine, atropine and quinine. Moreover, the increasingly sophisticated arsenal of organic chemical reactions that were developed in the 19th century allowed these molecules to be modified producing yet other substances of interest. Hence, acetylation transformed salicylic acid into aspirin and morphine into heroin. The alkaloids have been a treasure trove of useful molecules which have influenced humanity in many important ways. Which raises the question as to whether nature’s drug pipeline is showing signs of drying up? Now that we are in the 21st century are there still interesting new molecules to be discovered? The answer to this question is that we have hardly scratched the surface of Nature’s bounty. As recently as 2015, the Nobel Prize in Physiology or Medicine was awarded to three natural product chemists. Their stories are remarkable. For example, the Chinese pharmacologist Tu Youyou had been recruited to a secret project during the Cultural Revolution which aimed to discover new drugs for treating malaria. Her approach was to mine the rich history of traditional Chinese medicine. She noted that many ancient recipes detailing medicines for treating fevers contained the plant Aremenia annua or Sweet Wormwood. Tu Youyou and her colleagues prepared extracts from the plant and soon found that they had profound antimalarial effects. Eventually they purified artemisinin, the molecule responsible for this activity. Artemisinin has proved to have a huge impact on the treatment of malaria throughout the world. It is highly likely that an enormous number of similarly useful natural products await discovery. Pain is certainly as large a problem as any in medicine and opioid drugs like morphine provide a degree of pain relief not associated with any other group of substances. Of course, opioids have also had a considerable influence on society outside strictly medical considerations-the current opioid epidemic in the USA would be one example of this. However, isn’t it possible that there are other natural products that have properties that are as good as, or perhaps even superior to, morphine? The fact that we use morphine is, in some respects, a historical accident. Opium was discovered and used by civilizations such as Mesopotamia, Egypt and Greece that greatly influenced the development of modern Western medicine. But perhaps there are similar things in other parts of the world where folk medicine and ancient practices are still influential and where Western medicine has yet to look? Surely there are other artemisinins out there. Now let me introduce you to Mitragyna speciosa (Fig 1). M. speciosa has been used in Southeast Asian countries for centuries as a folk remedy for producing mild euphoric effects and for the treatment of pain, cough and diarrhea- among other things. Perhaps that sounds familiar? Opioids in Western medicine are also mainly used to treat pain, cough and diarrhea, and of course they also loom large in recreational drug taking because of their well known psychological effects. Coincidence? Let us examine what is known about M. speciosa. M. speciosa grows primarily in tropical and subtropical regions of Southeast Asia and Africa. In Thailand it is generally known as kratom and this is the name that has become widely used throughout the world today. M. speciosa trees normally grow to a height of 4-9 feet. Their leaves are a dark glossy green colour and grow to around 18 cm long and 10 cm wide with an oval shape and tapered ends (Fig 2). Bright yellow flowers grow in clusters attached to long stalks, bearing up to 120 flowers each. The dried leaves of M. speciosa can be chewed fresh, smoked, or made into an extract or paste. However, a universally popular way of taking the drug is to brew it with hot water to make a “tea”. Kratom has an extremely bitter taste (something that is typical of all alkaloids –consider quinine and strychnine, both famously bitter) and so kratom tea is usually flavored with honey or sugar. In parts of the world where chewing betel nuts is common, M. Speciosa leaves are often included in the “chew”. In areas of Southern Thailand and Malaysia, kratom has not really been viewed historically as a “drug”, but more as part of traditional culture,although in recent years things have started to change. Young Muslims in these areas, who are interested in something to use as a substitute for alcohol, have come up with a “cocktail” called “4 x 100” which contains a heady mix of M. speciosa leaves, a caffeine-containing soft drink, and codeine- or diphenhydramine-containing cough syrup as the three basic ingredients, to which other drugs can also be added. Consumption of this cocktail can have fatal consequences. 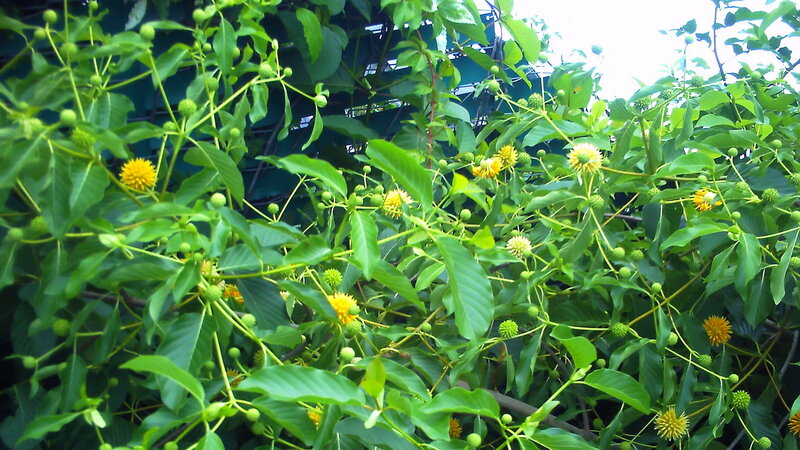 In Southeast Asia kratom has also traditionally been used as a substitute for opium or for treating opium withdrawal symptoms. Moreover, it is also clear that long term use of kratom can produce a state of dependency that resembles that produced by opioids. So, what exactly is in kratom? Whatever it is it seems suspiciously like morphine. Surprisingly, kratom does not contain morphine, codeine or any other related opioid. However, what it does contain is of considerable interest. M. speciosa produces a unique group of indole alkaloids-around 40 have been shown to exist in the plant. The most common of these is mitragynine (M) which was isolated in 1921 and which makes up around 60-70% of the total alkaloid content (Fig 3). It is this molecule which has garnered the most attention in attempts to explain the pharmacological properties of the plant. Interest has also centered on 7-OH mitragynine (7OHM), one of the major metabolites of M, although the concentration of 7OHM in kratom is at least 10 times lower than that of the parent molecule. Although these molecules have chemical structures that, at least at first glance, appear very different from those of common natural or synthetic opioids, it is reasonable to ask whether they do actually produce opioid-like effects? We know that opioids normally exert their effects through the activation of specific opioid receptors. These protein receptors are expressed by nerve cells and are members of the class of molecules known as G-protein coupled receptors (GPCRs). This is a very large family of molecules, coded for by some 800 genes, which are responsible for enabling the actions of virtually every sort of biological messenger molecule concerned in carrying molecular information from one cell to another. The biological purpose of opioid receptors is to mediate the effects of a family of neurotransmitter molecules known as endorphins. Endorphin containing nerves are widely distributed up and down the neuraxis and are thought to be important regulators of many physiologically important phenomena, including the pain response. There are actually 3 different opioid receptors known as μ (MOR), δ (DOR) and κ (KOR), which mediate the effects of the different endorphin neurotransmitters. Drugs like morphine are rather specific activators of MORs, producing relatively minor effects on DORs and KORs, and this is true for all other currently used opioid drugs. Activation of MORs is sine qua non for the production of classical opioid effects. So one question is whether M and 7OHM show interactions with MORs? The answer is that they certainly do. They are able to activate MORs being somewhat less potent than drugs like morphine -but they are clearly active and 7OHM is more potent than M. This of course raises the question as to whether M or 7OHM is more responsible for the activity observed with crude kratom? This is somewhat like asking the question whether morphine or codeine is more responsible for the effects of crude opium as both alkaloids are normally found in opium preparations. The question with respect to kratom has not yet been satisfactorily answered and so for the time being both alkaloids are considered as likely mediators of the effects of the crude drug. Nevertheless, given the fact that M and 7OHM activate MORs it is hardly surprising that kratom produces morphine like effects. But are M and 7OHM merely alternative versions of morphine or are they different in some way and why might this be important? The reason is that morphine produces both “good” and “bad” effects. The analgesic effects of the drug, its utility for treating cough and diarrhea are all clearly very useful. On the other hand, its addictive nature and effects such as deadly suppression of breathing are certainly undesirable. Clearly, then, it would be highly desirable to produce a drug that incorporated the good effects but not the bad effects of drugs like morphine. This is not a new idea. Since the beginning of the pharmaceutical industry in the 19th century scientists have attempted to solve this problem. Although much interesting information has been obtained about opioids and their receptors, the problem has never been solved. It would be difficult to count the number of false alarms there have been with respect to attaining this particular Holy Grail. Unfortunately, after one or two high profile publications, each claim has usually disappeared into scientific obscurity. Don’t forget that even heroin was originally claimed to be a non addictive opiate. Indeed, there hasn’t really been any good theoretical reason why a successful result might even be possible for this scientific enterprise. That is, until recently. To understand why scientists now think that it might be possible to make a better opioid drug we need to understand some recent advances in our thinking about the properties of G-protein coupled receptors, “GPCR”s. A receptor like a GPCR is responsible for issuing signaling instructions to the interior of a cell. One thing that we have come to understand is that most GPCRs can actually signal in more than one way. In fact most GPCRs can activate two distinct signaling pathways based on G-proteins and another pathway based on the protein β-arrestin. These two pathways can actually interact in some important ways but can also produce independent forms of signaling. Which raises another question. Do all the effects of drugs like morphine depend on the activation of both types of signaling or do the different effects of morphine depend on different types of signaling? If the latter model is correct then one might be able to produce a drug that only activated one signaling pathway and so produce only desirable effects. The idea that this might actually be the case was raised some years ago when a group of scientists produced a mutant mouse that was deficient in β-arrestin signaling. Interestingly, in this type of mouse, morphine appeared to be a more potent analgesic and also much less addictive than in normal mice. As time went on it became apparent that most of the bad effects of morphine were associated with β-arrestin signaling and most of the good effects were associated with G-protein signaling. If this is the case then perhaps it would be possible to produce a drug that activated MORs but only triggered G-protein signaling and not β-arrestin signaling? How could this aim be achieved? Again advances in our understanding of the way in which GPCRs function has provided a potential solution to this problem. According to our current view, GPCRs can actually exist in many conformations that can be stabilized by different drugs. Some of these conformations selectively trigger G-protein or β-arrestin signaling rather than simultaneously signaling via both pathways. Such a phenomenon is known as “biased agonism”. Hence, based on the above discussion, we would hypothesize that drugs that activate MORs to selectively signal via the G-protein rather than the β-arrestin pathway would produce the good effects of opioids but not the bad effects. This is certainly an exciting prospect and several groups of investigators have used the very latest techniques in structural biology and medicinal chemistry to try and achieve such an aim. Several new MOR-biased agonists have been reported and tested in animals. Sure enough the hypothetical predictions seem to have been born out.Drugs that allow MORs to selectively activate G-proteins seem to be good analgesics but have greatly reduced ability to produce respiratory depression ,constipation and addiction. So, has the Holy Grail of opioid pharmacology been reached at last? The answer is “perhaps”. The fact is that if you are a mouse you are in good shape. Every disease known to man has been cured in mice multiple times over but, as you may have noticed, people are still becoming ill and doctors and surgeons are still in business. The reason is that many studies in mice do not eventually “translate” to humans. There are many important reasons for this, a discussion of which is outside the scope of this brief blog post. So, the results of clinical trials in human subjects testing the properties of these new biased opioids are anticipated with much excitement and curiosity –and rightly so. Which brings us back to kratom. How do M and 7OHM interact with MORs? It turns out that both molecules are partial agonists. This means that they activate MORs but not to the maximal extent possible. A second point of particular interest is that they are biased agonists and selectively activate G-proteins rather that β-arrestin signaling. Is it then the case that rather than spending billions of dollars developing new biased MOR agonists, nature has already done this for us –and free of charge at that? The answer to this question is completely unclear at this time because no controlled clinical trials have ever been carried out using M or 7OHM. So, all the information on the use of these drugs in humans is basically hearsay. Moreover, human experience concerns kratom rather than pure M or 7OHM. 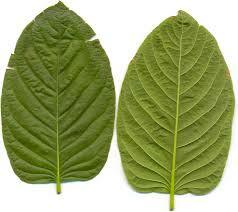 Crude kratom contains numerous other alkaloids that could modify the effects of M or 7OHM in many different ways. Nevertheless, it is worth considering the data as we have it. The first thing to note is that it seems that kratom can substitute for morphine during morphine withdrawal, suggesting that it can ameliorate things like craving for morphine. This might indicate that it is not entirely free of the types of morphine effects that are essentially linked to morphine addiction. However,it is also true that when used by itself over long periods of time addiction to kratom seems relatively mild and withdrawal from the drug also seems to be abbreviated compared to traditional opioids. Moreover, kratom use seems to be relatively safe. There have been few reports of kratom associated deaths and, even when they have occurred, the victims were taking so many other drugs simultaneously, that it is difficult to know whether kratom was actually responsible in these instances. Overall, one has cause to be optimistic that kratom, presumably due to the effects of M and/or 7OHM, is the type of opioid drug that everybody is trying very hard to make. This is suggested both by its effects in animals and man and also scientific investigation of its molecular pharmacological properties. It is also interesting to ask why something like kratom, which has been around for hundreds if not thousands of years, has suddenly left its home in Southeast Asia and come to public attention all over the world? The answer, of course, is the Internet. On line information about the properties of different “herbal” products can be spread very rapidly these days along with numerous descriptions of the details of individual experiences with any particular product. The Internet has assumed an incredibly influential role in the spread of both legal and illegal drug culture. Kratom is a particularly interesting case in point as it is clearly an opioid-like drug but it also masquerades as a “herbal” product. Herbal remedies such as kratom and cannabis have assumed a semi-mystical aura which distinguishes them from pure chemicals-the idea being that “natural” products are likely to be much better for you than things that have gone through synthetic or artificial isolation procedures. Consequently kratom’s legal status in the USA, for example, is very fluid and uncertain at this point in time. The use of kratom by residents of the USA has clearly increased greatly over the last decade. It has been easy to obtain kratom products on the Internet or in many New Age themed cafes. Moreover, people in the USA have discovered what people in Southeast Asia have known for a long time-that kratom can act as a mildly energizing and euphoric agent, it is useful for the general treatment of aches, pains and coughs and that it can help to treat withdrawal from traditional opioid drugs. It has been estimated that several million people in the USA now use kratom, at least occasionally. Because of this uptick in kratom usage the Drug Enforcement Agency (DEA) has become interested in whether or not access to kratom should be restricted. They noted that between 2010 and 2015 calls to poison centers by kratom users had increased ten fold –from 26 to 263 and in August 2016 the DEA moved to place kratom, as well as pure mitragynine and its derivatives, on Schedule I of the government’s list of restricted drugs. Schedule I is reserved for drugs like heroin, LSD and cannabis which, according to the government, have “no medical utility whatsoever”. Moreover, when a drug is placed on Schedule I it is also very difficult to obtain federal funding to do research on it. Consider LSD for example,which was one of the most exciting new drugs in psychiatric research in the 1950 and 60s, and then completely fell off the research map when it became a Schedule I drug around 1970, resulting in several decades when virtually no research on it was done at all. Advocate groups that support unrestricted kratom use fought back. They pointed out that although the number of kratom-related calls had indeed gone up 10 fold, 263 calls really wasn’t that many when one considers that a total of 2.2 million calls were made to poison centers over the same time period. Kratom advocates delivered a petition with around 150,000 signatures to President Obama and the decision to restrict it was reversed for the time being. Nevertheless, several states have gone their own way and have made kratom use illegal. Alabama, Arkansas, Indiana, Tennessee, Vermont, Wisconsin and the District of Columbia have banned kratom use at this time and several other states are considering similar moves. In other words, the future legal status of kratom is uncertain at this time. One thing is certain. More research on kratom and its products is urgently required, particularly with respect to its effects on the human population. Placing the drug on Schedule I would clearly be counter productive for what looks like a very promising “new” drug.